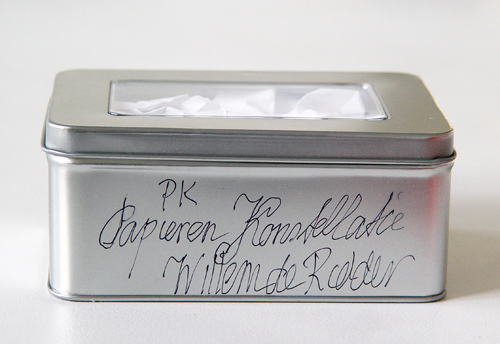 During the 50th anniversary of Fluxus Willem de Ridder produced ‘Papieren Konstellaties’ in metal boxes of various sizes. 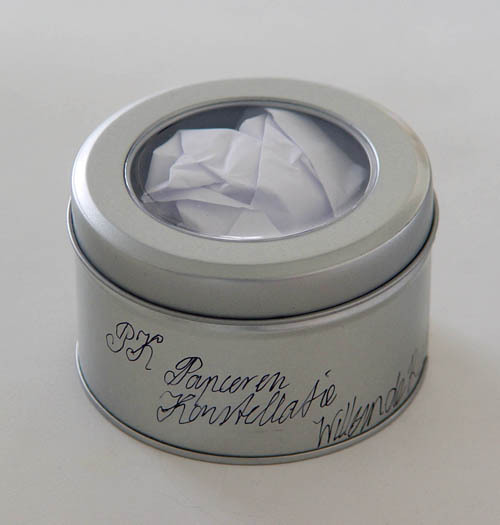 The paper crumplings are either in white or grey. Several boxes carry a word or love symbol (heart).